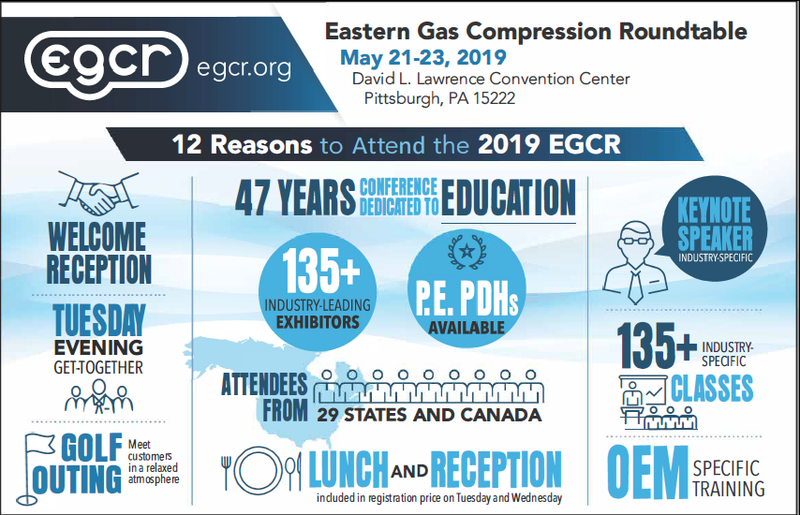 The Eastern Gas Compression Roundtable (EGCR) is a non-profit organization providing the Natural Gas Industry with targeted, industry-specific training programs for entry-level through advanced educational needs. 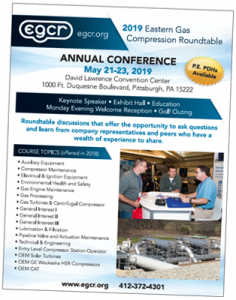 These programs are presented at our annual training and technology conference and focus specifically on engine and compressor maintenance. 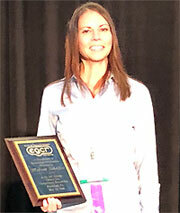 Our goal is to meet the needs of industry groups closely involved with Compressor Stations, Marcellus Shale, Utica Shale, Antrim and other associated areas. The conference is promoted by those directly involved in the oil and gas industry.